On November 23rd of 1849, in the heart of Boston, one of the city's richest men simply vanished. Dr. George Parkman, a Brahmin who owned much of Boston's West End, was last seen that afternoon visiting his alma mater, Harvard Medical School. Police scoured city tenements and the harbor, and offered hefty rewards as leads put the elusive Dr. Parkman at sea or hiding in Manhattan. But one Harvard janitor held a much darker suspicion: that their ruthless benefactor had never left the Medical School building alive. His shocking discoveries in a chemistry professor's laboratory engulfed America in one of its most infamous trials: The Commonwealth of Massachusetts v. John White Webster. A baffling case of red herrings, grave robbery, and dismemberment -- of Harvard's greatest doctors investigating one of their own, for a murder hidden in a building full of cadavers -- it became a landmark case in the use of medical forensics and the meaning of reasonable doubt. Paul Collins brings nineteenth-century Boston back to life in vivid detail, weaving together newspaper accounts, letters, journals, court transcripts, and memoirs from this groundbreaking case. Rich in characters and evocative in atmosphere, Blood & Ivy explores the fatal entanglement of new science and old money in one of America's greatest murder mysteries. In this comprehensive, revelatory biography, Jane De Hart explores the central experiences that crucially shaped Ginsburg's passion for justice. 20 fun and inventive Makey Makey projects for Makers from beginner to expertThis hands-on guide is filled with DIY projects that show readers, step-by-step, how to start creating and making cool inventions with the Makey Makey invention kit. Each project features easy-to-follow, fully-illustrated instructions and detailed photographs of the finished gadget. 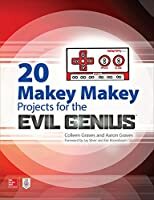 Readers will see how to apply these skills and start building their own Makey Makey projects.20 Makey Makey Projects for the Evil Genius starts off with very approachable introductory projects, making it a great starting point for beginners. It then builds to more challenging projects, allowing more experienced users to go further by incorporating technologies like Raspberry Pi, Processing and Scratch programming, 3D Printing, and creating wearable electronics with Makey Makey. 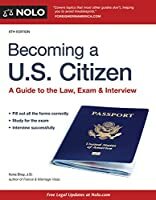 Everything you need to become a naturalized U.S. citizenFor a green card holder, taking the next step to U.S. citizenship offers a host of benefits. But the application process itself can be long and confusing. With Becoming a U.S. Citizen, you can save months, or even years. Best of all, you'll know that you are taking each needed step in the most efficient way.Learn how to:make sure you are eligible for citizenshipunderstand the risks and rewards of applyingfill out application formsstudy for the citizenship examinterview successfullydeal with any setbackshelp family members immigrateenjoy your status as a U.S. citizenBecoming a U.S. Citizen also shows how you may be able to take advantage of special benefits and procedures if you have a disability, are in the military, or are the spouse of a U. In this one-of-a-kind memoir, Jack Clemons -- a former lead engineer in support of NASA -- takes readers behind the scenes and into the inner workings of the Apollo and Space Shuttle programs during their most exciting years. Discover the people, the events, and the risks involved in one of the most important parts of space missions: bringing the astronauts back home to Earth. Clemons joined Project Apollo in 1968, a young engineer inspired by science fiction and electrified by John F. Kennedy's challenge to the nation to put a man on the moon. He describes his experiences supporting the NASA engineering team at what is now the Johnson Space Center in Houston, where he played a pivotal role in designing the reentry and landing procedures for Apollo astronauts. He went on to work on Skylab and the Space Shuttle program, eventually assuming leadership for the entire integrated software system on board the Space Shuttle. Through personal stories, Clemons introduces readers to many of the unsung heroes of the Apollo and Space Shuttle missions -- the people who worked side-by-side with NASA engineers supporting reentry and landing for each Apollo mission, and the software team who fashioned the computer programs that accompanied the crews on the Space Shuttle. Clemons worked closely with astronauts who relied on him and his fellow engineers for directions to their destination, guidance on how to get there, control of their fate during their journeys, and a safe return. He reveals problems, challenges, and near-disasters previously unknown to the public and offers candid opinions on the failures that led to the loss of 14 astronauts in the Challenger and Columbia tragedies. Highlighting the staggering responsibility and the incredible technological challenges that Clemons and his colleagues took on in the race to reach the moon and explore the mysteries of space, this book is a fascinating insider's view of some of the greatest adventures of the twentieth century. One of the most elusive and controversial figures in NASA's history, George W. S. Abbey was called "the Dark Lord," "the Godfather," and "UNO" (unidentified NASA official) by those within NASA. He was said to be secretive, despotic, a Space Age Machiavelli. Yet Abbey had more influence on human spaceflight than almost anyone in history. From young pilot and wannabe astronaut to engineer, bureaucrat, and finally director of the Johnson Space Center ("mission control") , Abbey's story has never been fully told - until now. The Astronaut Maker takes readers inside NASA to learn the real story of how Abbey rose to power and wielded it out of the spotlight. Over a 37-year career he oversaw the selection of every astronaut class from 1978 to 1987, deciding who got to fly, and when; was with the Apollo 1 astronauts the night before the fire that killed them in January 1967; was in mission control the night of the Apollo 13 accident and organized the recovery effort; led NASA's recruitment of women and minorities as Space Shuttle astronauts - including hiring Sally Ride; and much more. By the coauthor of the acclaimed astronaut memoirs DEKE! and We Have Capture and informed by countless hours of interviews with Abbey and his family, friends, adversaries, and former colleagues, The Astronaut Maker is the ultimate insider's account of ambition and power politics at NASA. Flint was already a troubled city in 2014 when the state of Michigan - in the name of austerity - shifted the source of its water supply from Lake Huron to the Flint River. Soon after, citizens began complaining about the water that flowed from their taps - but officials rebuffed them, insisting it was fine. Dr. Mona Hanna-Attisha, a pediatrician at the city's public hospital, took state officials at their word and encouraged the parents and children in her care to continue drinking the water - after all, it was American tap water, blessed with the state health department's seal of approval. But a conversation at a cookout with an old friend, leaked documents from a rogue inspector, and the activism of a concerned mother raised red flags about lead - a neurotoxin whose irreversible effects fall most heavily on children. Even as circumstantial evidence mounted and protests grew, Dr. Mona knew that the only thing that could stop the lead poisoning was undeniable proof - and that to get it, she'd have to enter the fight of her life. What the Eyes Don't See is the inspiring story of how Dr. Mona - accompanied by an idiosyncratic team of researchers, parents, friends, and community leaders - proved that Flint's kids were exposed to lead, and fought her own government and a brutal backlash to expose that truth to the world. 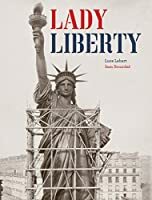 Paced like a scientific thriller, the book shows how misguided austerity policies, the withdrawal of democratic government, and callous bureaucratic indifference placed an entire city at risk. And at the center of the story is Dr. Mona herself - an immigrant, doctor, scientist, and mother - whose family's activist roots inspired her pursuit of justice. What the Eyes Don't See is a riveting, beautifully rendered account of a shameful disaster that became a tale of hope, the story of a city on the ropes that came together to fight for justice, self-determination, and the right to build a better world for their - and all of our - children. Nikola Tesla: inventor or magician? Tesla was one of the most famous inventors who ever lived, but after his death, he was nearly forgotten. He was a celebrity during the height of America's Gilded Age. In this book, you will read about his friendship with Mark Twain, his furious competition with his former employer Thomas Edison, his uneasy relationship with billionaire J.P. Morgan, and his rivalry with Albert Einstein. During his lifetime, Tesla revolutionized the field of electrical engineering with his most famous invention: the induction motor. But that wasn't all he contributed to the world of technology. His coils, turbines, robotic boats, and mysterious "death ray" continue to beguile the imagination and inspire the inventors of the 21st century.